People who garden for a living or for pleasure including designers, writers, presenters, plant hunters and historic figures. 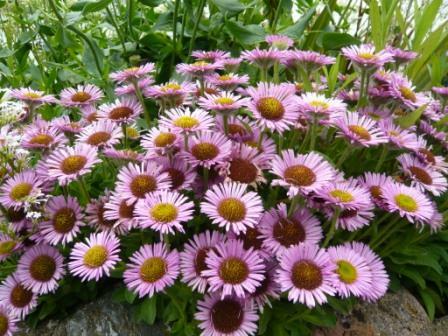 Georg Arends was a German nurseryman who bred many perennial plants. His business was successful until the second world war and has been regenerated to be one of the oldest in Europe. It still remains within the Arends family. David Austin sells an old rose called Georg Arends which he claims it is ‘A good shrub with large, rose pink blooms of perfect Hybrid Tea shape; the petals curling back at the edges in a most beautiful manner. Deliciously fragrant. Recurrent flowering’. A recent article in the Financial Times celebrates 130 years of Georg’s nursery business – I wish I had plants that lived a tenth as long. 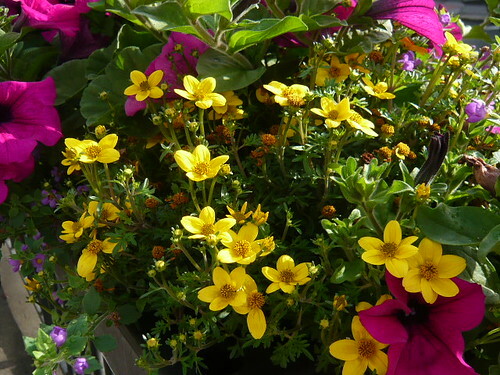 Gardeners are keen on offspring in the garden when they come from their own propagation. That may not always be the case with grandchildren except in controlled circumstance. Grandma saw a youngster eating a slug and rather than be critical asked ‘what does that taste like?’ After a pause the kid replied ‘worms’. You can be too prescriptive about musts and don’ts. Commonsense is crucial and grandparents can help teach that to the kids. Garden tools can be very sharp and need to be used correctly, carefully and kept under your supervision. I am prone to leaving items in the garden to trip over and rakes can jump up and hit the unsuspecting. Now grandkids are visiting I am tidying up before after and during the visits. Learning by experience will cover stinging nettles, irritating sap, prickly roses and some other plants to avoid. A warning or two (hundred that is) will still fall on deaf ears – I still get stung and pricked! 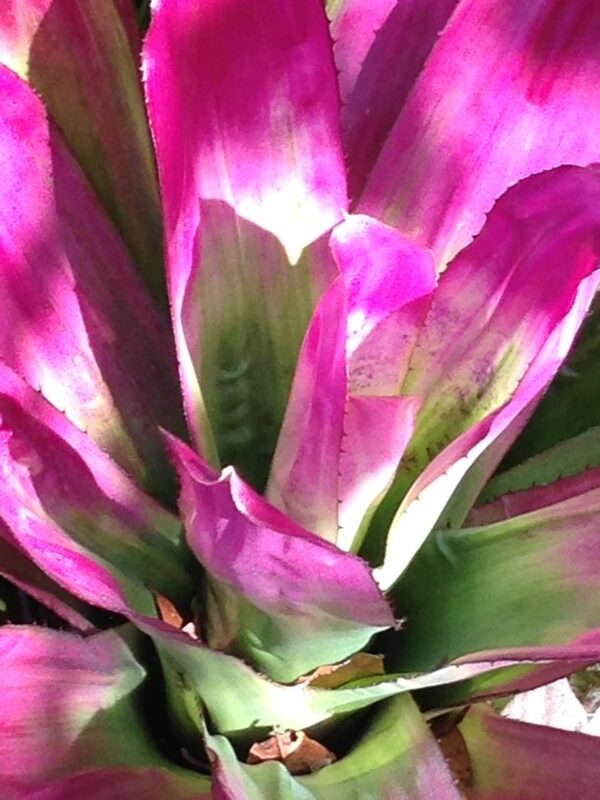 Not everything belongs in a child’s mouth but most plant matter will not cause too much harm. However look out for poisonous seeds, Laburnum, Monkshood and anything you grow that you know to avoid eating. If you get rostered into child minding on a regular basis it is worth setting up regular garden related tasks the kids can get involved with. Get them kitted out with waterproof clothes. Don’t push too hard it may put off the next generation of Throwers and Titchmarshes. We may find routine gardening fun but kids may need a bit extra and activity changes every 20 minutes or so. Gardening has lessons for all of us and the kids have a lot to learn from you and your garden or open air classroom. 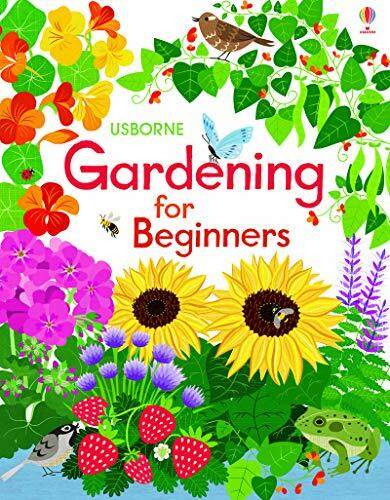 There are lots of lists of easy to grow plants from large easy to handle seeds like sunflowers, Peas and beans but they take ages (eons in kid time) to show life much less crop. The old standby mustard and cress are more reliable. Plant pots, containers, baskets and boxes are all small areas where kids can have there own ‘patch’ so to speak. Flush with cash reserves and a conservative spending policy, poor gardeners and horticultural workers should be able to feel some comfort. In a recent mailing I was solicited to donate £25, £50 or £100 in addition to supporting the (expensive) product catalogue. This request wont germinate and bear fruit with me until they are more down to earth and do more for the horticultural workers and families. 1.1.3 the provision, maintenance or assistance in the provision and maintenance of gardens and open space for training, rehabilitation and other charitable purposes for public benefit and in particular the preservation and maintenance of gardens of historic and/or aesthetic importance to be enjoyed by and made available to the public at large;This can include debt advice and financial support to people employed in or retired from the horticultural industry who find themselves in difficulties arising from financial difficulties, ill health, disability, or old age. The charity employed 38 staff and over 200 volunteers at December 2015. I may be a bore at parties and barbeques but I do know how to get rid of slugs. ed. Gardeners can appear to be a taciturn bunch but they have a dry sense of humus. ‘It is important that the grower acquaints them-self with each species’ natural habitat to enable a good pot grown specimen to be produced.’ Jan Taylor Geraniums and Pelargoniums. Lancelot Brown is the most famous gardener who popularised English landscape design. Lancelot Brown’s nickname ‘Capability’ came from his saying about an estate he was commissioned to work on ‘It has great capabilities’ . During his life he was Sheriff of Huntingdon, gardener to King George III, architect and innovator of ‘Landskip’ gardening. At the age of 24 he went to Lord Cobhams garden at Stowe where he learnt from William Kent who had studies Italian and Grecian gardens and John Vanbrugh. In 1764 Lancelot Brown was appointed Master Gardener at Hampton Court. Lancelot Brown described himself as a ‘place-maker’ not a ‘landscape gardener’. He didn’t want a series of tableaux within a garden, he wanted a piece of countryside. Formality and straight lines had to go and to avoid fences he created the Ha-ha a sunken version. 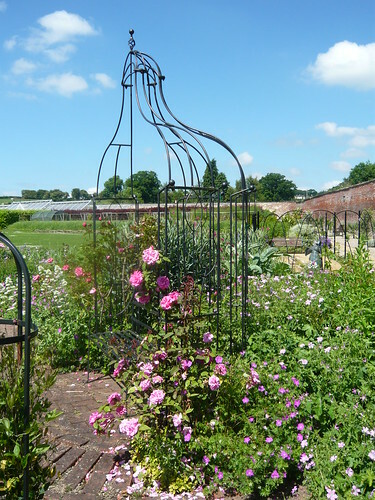 Flowers were cosigned to walled gardens and trees imported to suit his design. Some of his designs were elaborate and involved changing hills and lakes and some thought them lavish. After his death the strong vision he had carried through in his work fell out of favour and only in the last century was he fully rehabilitated. Rustle up some space for Lupins a grand perennial favourite. 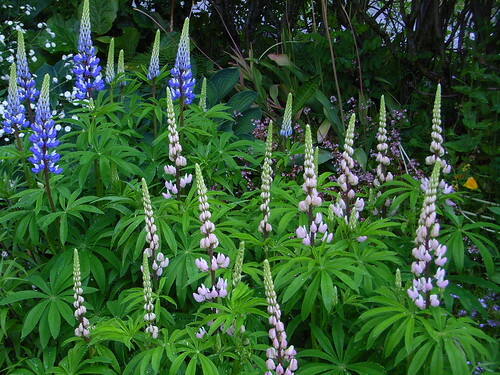 Originally Lupins (Lupinus polyphyllus) were introduced into Britain from North America in 1826. They had the blue flowered spikes we occasionally saw on railway embankments with some whiter flowers. Fast forward to 1937 and the RHS awarded its highest honour to a ‘ jobbing gardener’ George Russell for developing a strain of Lupins that caused a sensation. 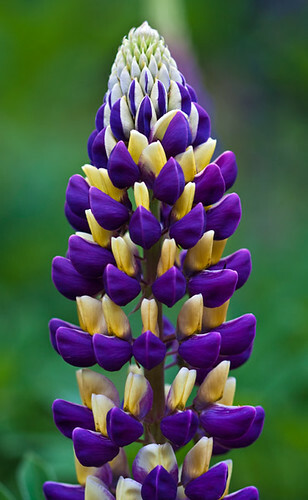 Russell developed his Lupins by rigorous selection of seedlings, aiming and achieving a central stalk or spike totally obscured by colourful flowers. Many of us would cut back Lupins after flowering to prevent the setting of seed and weakening the plant, but to George Russell that was the opposite of his intent. 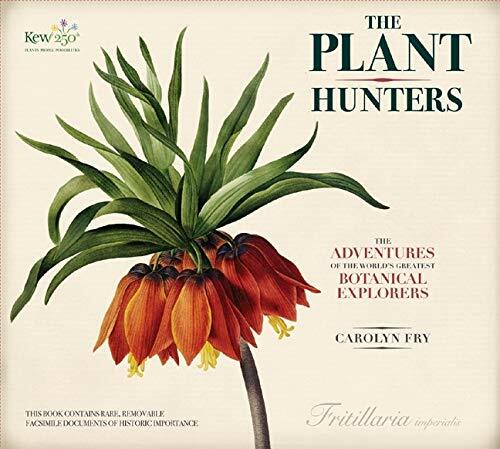 Another top ten list this time of top ten plant hunters. Sir Joseph Banks possibly the father of Kew accompanied Captain Cook on HMS Endeavour’s voyage to the South Pacific (1768-1771), was involved with the HMS Bounty and breadfruit and many early plant hunts. 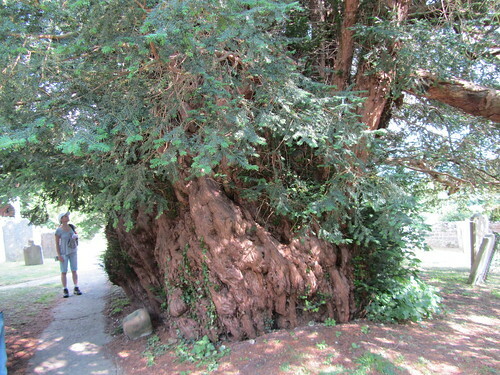 He was appointed as a of Kew Gardens by George III in 1773. A Joseph Banks Tribute Garden has been established in Lincolnshire which is now part of the National Gardens scheme. Many plants are now named Banksii as a tribute to his collecting, introducing and organising the Plant Hunting of the 18th century. William Lobb and his brother Thomas Lobb were prolific plant hunters in the Georgian and Victorian era when new plant introductions were in great demand. 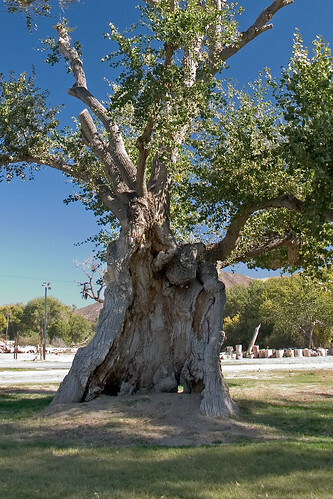 South America was the terratory where they collected many trees and species for Veitch the nursery. George Forrest, 1873 – 1932 was a Scot who collected Rhododendron forrestii, R. sinogrande, R. repens, R. griersonianum, R. intricatum and R. giganteum, as well as more than 50 species of primula. 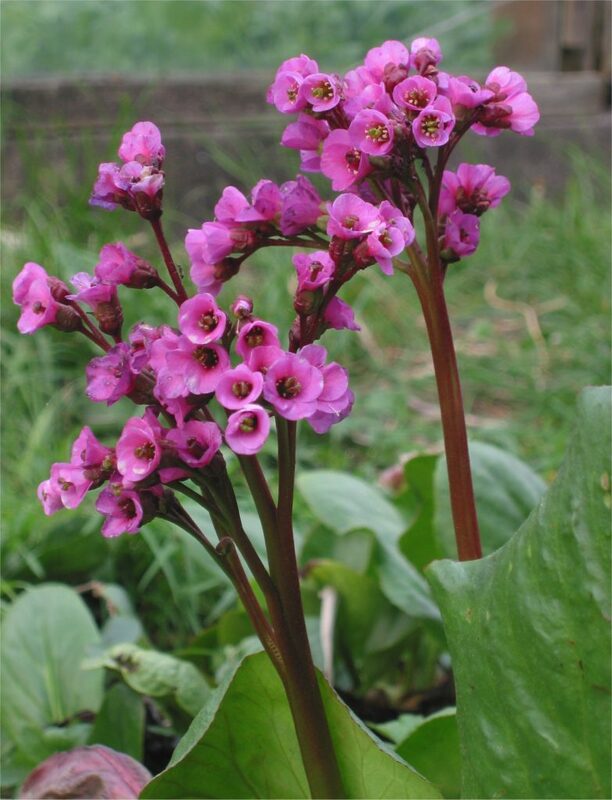 Also introduced were numerous buddleias, anemones, asters, deutzias, conifers, berberis, alliums and cotoneasters and plants that now bear his name including Pleione forrestii, Pieris forrestii, Iris forrestii, Acer forrestii. Who is Growing in Your Garden? 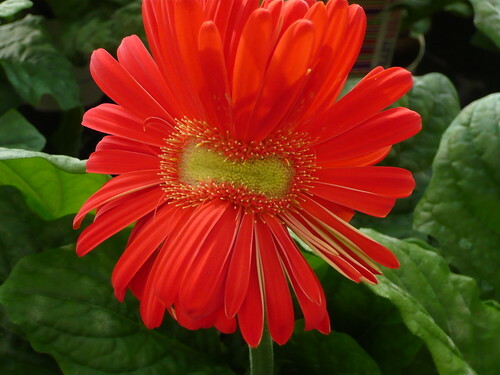 Flower varieties are often named after famous personages – Queen Elisabeth is probably one of the best known. Her is just a selection of others. 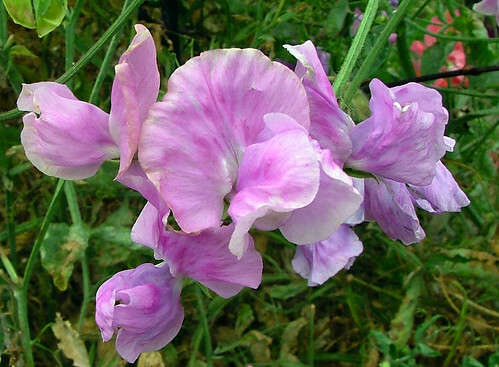 Terry Wogan, King Edward VII, Charlies Angels, Alan Titchmarsh and Charles Unwin all have had Sweet Peas named after them and that is a lot easier to say than Lathyrus Odoratus. So surprise your neighbours with a patch of Terry Wogans or 3 Charlies Angels. Leucanthemum x superbum ‘Esther Read’ now referred to like many Shasta Daisies just as Esther Read was first grown from a stolen railway embankment as a single daisy crossed with the bigger Chrysanthemum maximum by Horace Read. The Read family were plantsmen for over 200 years but it was in 1931 that this plant of it’s time was exhibited. Now the name is eponymous although the original cultivar is seldom available you may have an Esther Read derivative in your garden. Five years ago I recommended taking gardening at a steady pace, I could have called it slower gardening. Shortly I will give some tips on slower gardening but as a reminder some oak, conifers and other trees come into their own when they are 1000 years old.